Back in October 2014, the first seeds of Fresh Future Farm—a .81-acre farm located in North Charleston’s Chicora-Cherokee neighborhood—were sewn. Visit the land today and you’ll see towering banana trees, stately sugar cane, and lush beds of veggies alongside picnic tables, an observation bee hive, and a coop of 20 happy hens. 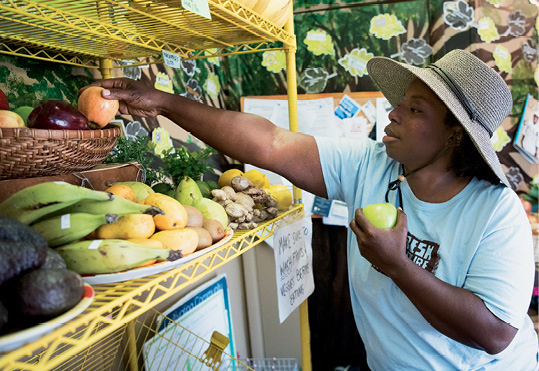 The minute eggs are collected and produce harvested, it’s all hauled a few feet away to the farm store that opened last May, offering fresh fare to residents of the neighborhood—a USDA-certified food desert. In addition to fruits and veggies, the store offers grocery staples (from cereal, nuts, frozen seafood, and salad dressing to toilet paper, soap, and air filters), as well as items for those with food allergies. 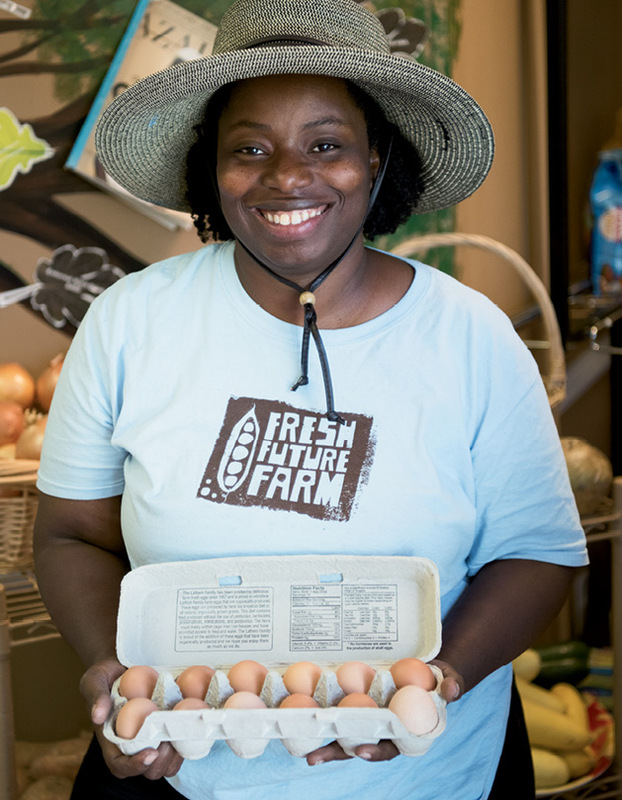 Founder Germaine Jenkins shows off eggs laid in the on-site coop. Jenkins stocks shelves inside the farm store. Garden Classes: Jenkins has monthly courses scheduled through December. On May 20, learn about growing bananas ($25), and on June 17, get an intro to home gardening ($10). Volunteer Workdays: Run by Fresh Future Farm (FFF), Chicora Place Community Garden (find it on Facebook) welcomes help from 9 a.m. to noon the second Saturday of each month. The same goes at FFF on the third Saturday. Cobb Oven Workshop: Root Down Designs architect April McGill leads this course ($225) from May 26 to 28 at American College of the Building Arts and FFF, where students will build a mobile oven for use on the farm. Visit www.lowcountrynaturalbuilding.com.